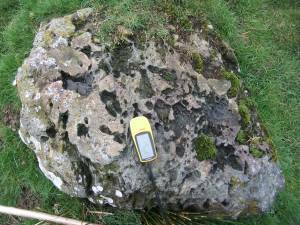 Geology Isolated earth fast erratic boulder. 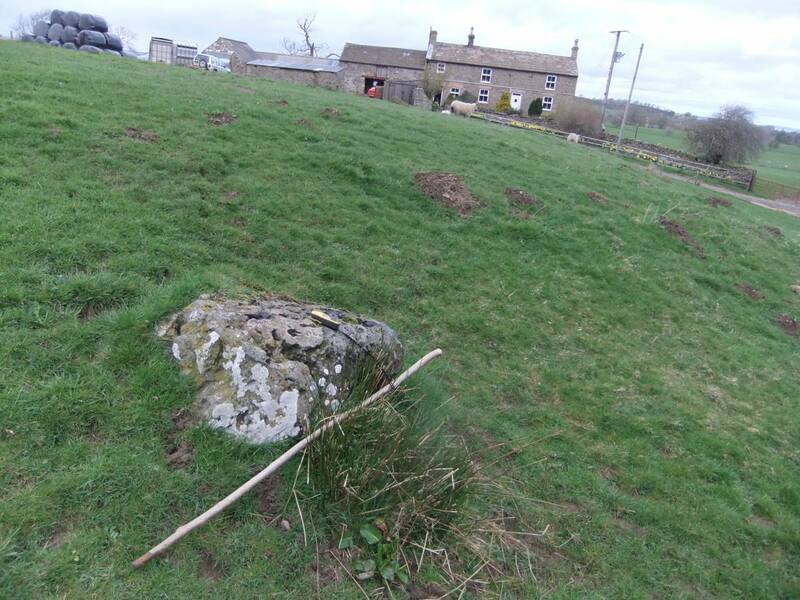 Record Description This far travelled volcanic erratic is a rock type foreign to the Pennines of as yet unidentified volcanic origin. 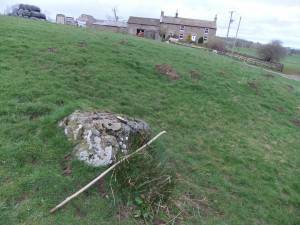 This dense slab of rock has been carried by the Stainmore Glacier from its distant source. 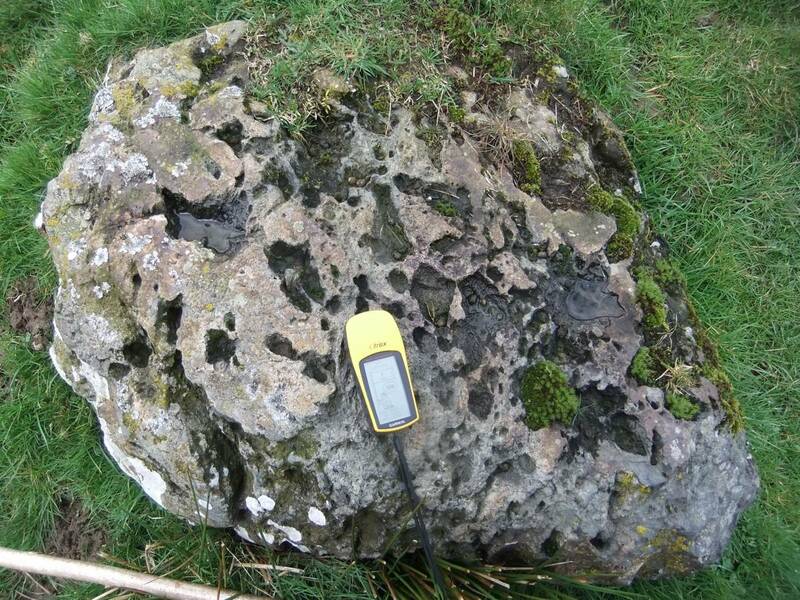 This rock may be of the Eycott Hill Lava series located on the fringes of the Lake District or possibly of an igneous rock type from the Galloway Hills. 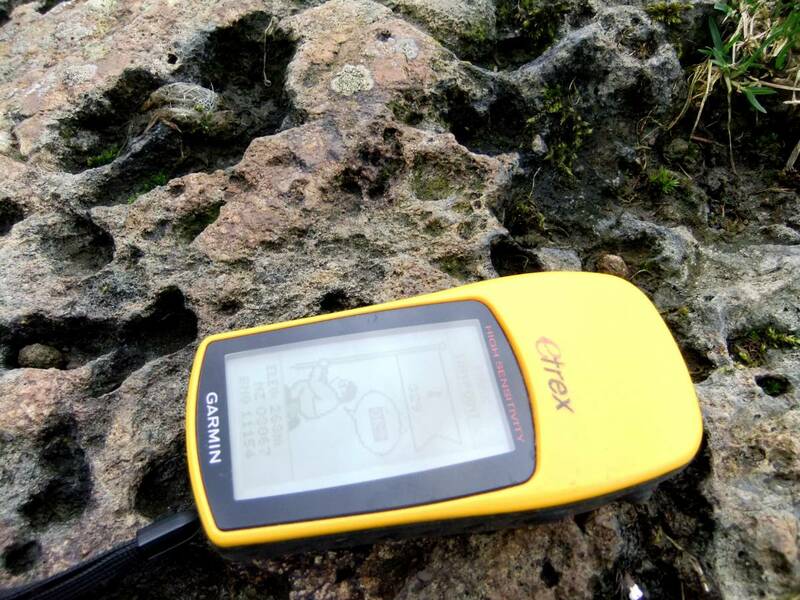 The surfaces of this very dense rock is pock marked with numerous cavities, see detail photo below. 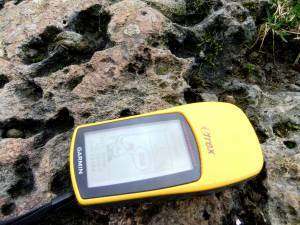 These cavities may have been gas-filled cavities in the lava or alternately the cavities may have been formed where softer inclusions have weathered out. Additional Notes This record will be updated when the rock type and source is identified.